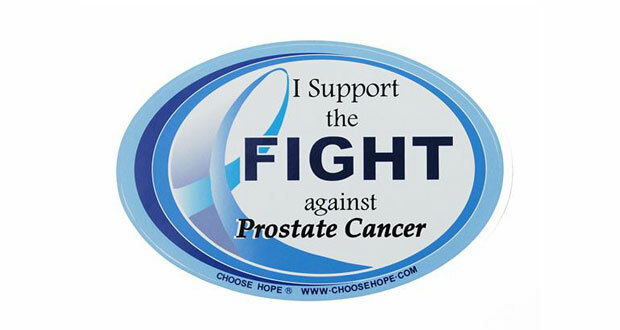 Prostate cancer is the most commonly diagnosed cancer in western men. While there are not many accurate statistics on it, prostate cancer cases are substantially lower in India than that in US or Scandinavian countries. Though the reported incidence of prostatic carcinoma in India (6/100 000) is much lower than that in the USA (200/100 000), it is possible that we see only the tip of the iceberg due to lack of routine screening. The population of India is now over a billion with an estimated 1.5 million cases of cancer diagnosed per year. The population of the United States is 295 million, and yet 1.5 million cancers will be diagnosed per year. It is possible that for our population the cancer incidence is under diagnosed which confirmed by the fact that the statistics for the year 2005 shows that the incidence of breast cancer in the US is 660/million while in India, it is 79/million. Similarly, in the US, prostate cancer accounts for 690 cases/million, while in India, it is 20/million but the death from the same is 130 and 9 respectively. This means the death rate from prostate cancer in USA and India are 19% and 45% respectively. Prostate cancer incidence is increasing in India. Incidence of prostate cancer is increasing 2.5% every year among Indian race while rest of the races is 3 %. Lung cancer is most widespread cancer in Indian men and prostate cancer is becoming second most prevalent cancer causing deaths among men in India. Since screening is not routinely available in India, in our clinical practice almost 90% of patients with prostate cancer present at an advanced stage of malignancy which can only be treated with hormonal therapy. Therefore, our main aim is to start screening our patients to detect early cancer of the prostate to exploit the advantage (reduction in death rate by 5.3%) of early surgery or radiation therapy. Prostate cancer screening involve PSA test in men above the age of 50 and lower age group if there is family history of prostate cancer and digital rectal examination by the doctor to detect any abnormality in the prostate gland. Age-Men above the age of 50 years. Age is the most influential risk factor. Family history-Your risk is higher with family history of prostate cancer. Diet-high fat diet particularly animal fat may increase your risk. Diets high in fruits and vegetables are thought to decrease your risk. Fifty to 60% of men over the age of 60 in India have benign (non cancerous) prostatic enlargement (BPH). Of them, 30-40% shows its symptoms and 10% of this group may have prostate cancer. If the PSA is between 4 to 10 then there is 30% chance and if it is above 10 there is 50% chance of cancer on prostate biopsy. Diagnosis of prostate cancer is done by biopsy from the prostate gland. Biopsy will confirm the diagnosis and also shows whether the cancer is low grade or high grade cancer. Depending on the level of PSA further test like CT scan or bone scan may be needed. 1. Watchful waiting-means disease is closely monitored with PSA test, physical examination and repeat biopsy if needed. Treatment is instituted if there is evidence of progression of the disease. Curative treatment for prostate cancer is indicated if the cancer is within the prostate gland. 2. Surgery-Surgical removal of entire prostate gland, seminal vesicle, part of vas deferens with or without lymph nodes. This can be done by open surgery, laparoscopic or Robotic assisted laparoscopic method. Currently Robotic assisted laparoscopic prostatectomy is the gold standard in treatment of localized prostate cancer. 3. Radiation treatment-involves radiation to the prostate gland. It may by external radiation or by implantation of radio-active seeds into the prostate. It may be at times combined with hormonal treatment. 4. Hormonal treatment-Hormone treatment is generally indicated for prostate cancer that has spread beyond the prostate gland. Prostate cancer is generally sensitive to hormonal manipulation for certain period of time. This can be achieved by surgical removal of both testes, injections every 3-6 months or by taking tablets daily.